I swear. I get what I would imagine are pregg-o-like cravings for these things. 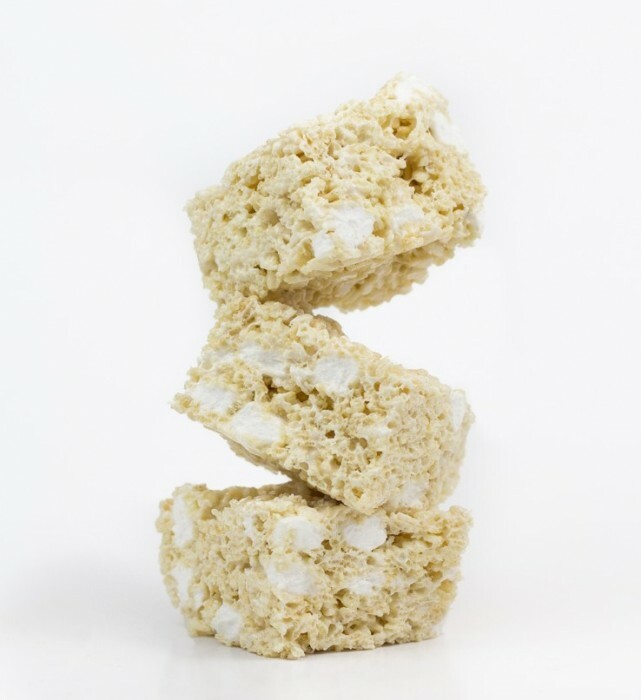 There is something magical about a classic rice krispies treat. I’ve always been much more of a fan of these without anything extra added to them. The peanut butter or M&Ms versions are nice and all, but nothing beats this Plain Jane masterpiece. Why is he posting this?! Everyone knows how to make these! Well….. These are just that good! I’ve found that the classic recipe works great. The magic happens with how you assemble it. I had always just heated up the butter, tossed in the marshmallows and melted everything before adding the cereal. Save some (or just add more, if we are honest) of the marshmallows to mix in after you have melted the marshmallows. The mixture will be hot and partially melt the whole ‘mallows into the treats, leaving you with this amazing result. They end up being the most gooey, perfectly balanced treats you will ever make. Seriously, y’all. LOOK at that! I made a batch of these using larger marshmallows that I just chopped up (because that’s what was handy) during the first round. I ended up eating the entire thing (these make the best NYE treats, btw) and had to make another batch to take pictures. These would be amazing to make for your kid’s bake sale. Then eat all of them (you will.). And remake for the bake sale. Luckily, they literally take 10 minutes to toss together, so stock up on the marshmallows! These totally don’t count against your New Year’s resolution(s). It’s rice, after all. Spray 9x13 pan with non-stick spray. In large pot, melt butter over low heat. Add 12 cups marshmallows. Stir until completely melted. Immediately remove from heat and mix in remaining 3 cups marshmallows and rice cereal. Press into greased pan an let cool completely (at least 30 minutes). What your favorite go-to quick treat? Comment below! These were the best squares that I have EVER made-and I am 73-or tasted-even at school functions or church bazaars, etc. Thank you! Awww! I love that! So glad you enjoyed them. Thanks for sharing. I just made these. I didn’t realize that the batch was super big to start, so I 1.5x the batch. That was quite the work out with blend it all in. 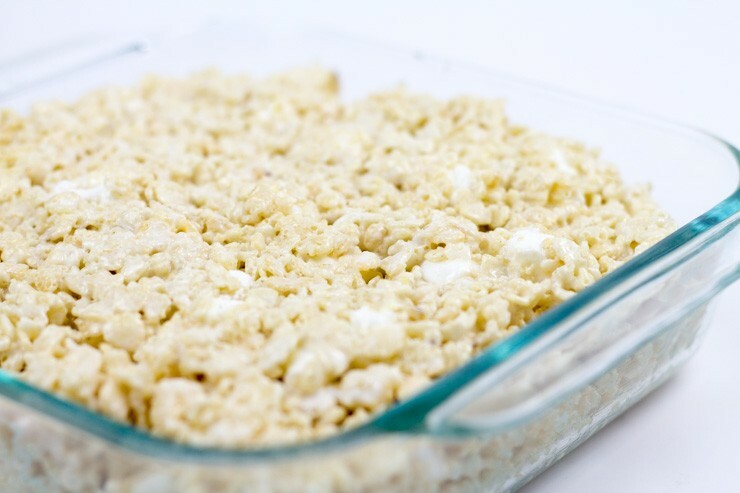 Lets just say that there is a mounded rice krispie treat in my 9×13 pan. I can’t wait for them to cool. I don’t do anything small! Hah — Enjoy them! They are amazing. My new go-to rice krispie squares. Thanks so much. So glad to hear that! I think they’re the best. Game changer rice krispies FOR SURE!!!!!!!!!!! Went through 2 batches in a week…. and I’m okay with that. So glad you enjoyed! They are addddddictive! Add some cinnamon to the mix and it tastes like Cinnamon Toast Crunch! This is my favorite marshmallow treat recipe ever. I just made one batch with cinnamon and red and blue sprinkles for the 4th tomorrow and a half batch that I drizzled with dark chocolate and crushed graham crackers for a s’mores take! That’s the way! Looks great. I have a recipe with a nostalgic cereal take coming up soon based on these. Made a batch of classic ones yesterday. 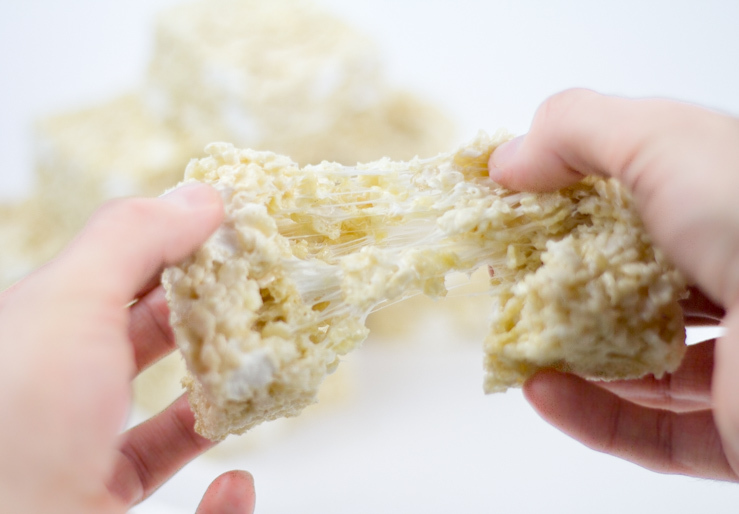 Really great Rice Krispy Treat recipe! It seems like a simple recipe but you’ve gotta get the marshmallow-to-cereal-to-butter ratio just right. I like the extra, unmelted marshmallows in this. The treats are nice and tall, good for bake sales, and there’s enough cereal that you could throw in some candy add-ins if you like. Thanks! I’m seriously hooked on ’em! 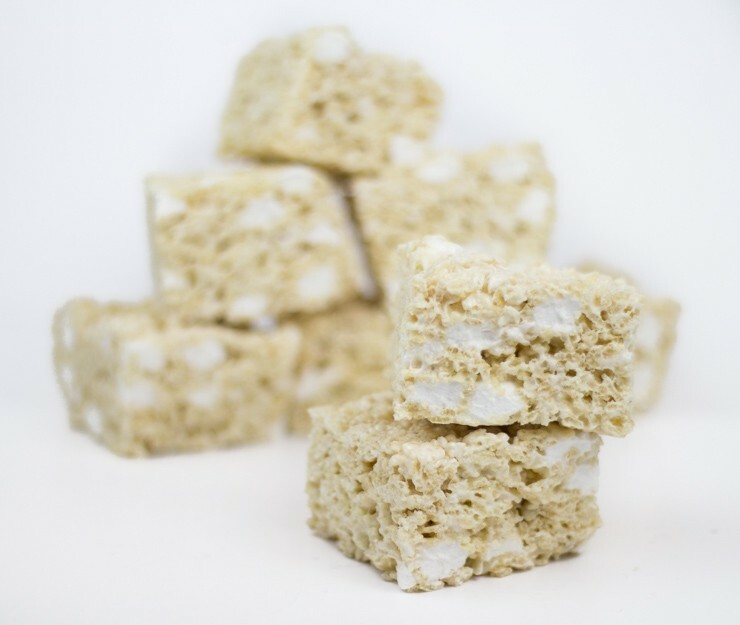 I love me some Rice Krispies, and as someone who is currently pregnant, I can totally see myself craving these, making them, then eating the entire pan without any shame. Because sometimes, that’s how it’s gotta be done. Now I want to make some of these, and I love the idea of the marshmallow pieces in them. So fun! So delicious! So easy! That makes me almost feel horrible about myself for eating a batch myself while not being pregnant…. Hah! — The second addition of marshmallows makes such a huge texture difference! Funnily enough, I was craving rice krispies this past weekend. I can’t wait to try these! I’ve been craving these since I destroyed waaaayyy too many last week. Addictive! Lemme know how it goes. Yummy! My favorite and no kids. I usually end up eating the entire pan. Can’t wait to try the Southern Fatty version. Thanks for sharing! No kids = more for you! Hope you enjoy. Thanks for sharing! Oh, really? I feel like it’s extremely common in recipes here. Although, I’ve never seen anyone else add it to these. Just deepens that nutty flavor for me. Love it! Pecans are my jaaaam. Would be great in these, I’m sure. Yay! — No joke… I made three batches in a week…. I love the addition of vanilla here! Thanks! Adds a bit of depth that I really enjoyed (too much…).